Dry tea of ​​any kind and grade - very whimsical and delicate product, which has strong hygroscopicity, that is, the ability to absorb moisture, it is very sensitive to foreign odors and. Even if the factory carefully packed tea, delivered to the store, buyers, not knowing the basic rules of its storage, can casually put an open pack of tea somewhere on the kitchen shelf, near the stove or sink. without knowing, the tea will lose its flavor in just a day! And it is only proper storage will keep all the tea quality. The first condition for storage of tea - it dry and well ventilated place at room temperature. In modern conditions, tea in special containers are best kept in the kitchen, where high humidity, temperature, and various odors. Earlier, for storage of valuable and expensive tea, certainly was a separate locker in the cupboard, wherein an additional jar was placed in a box, then in a bag made of thick material, and in wealthy homes there were even special tea rooms. Tea in any case do not keep the light, especially in direct sunlight. Even carefully packaged tea will not tolerate Neighborhood with substances silnopahuchimi - kerosene, spices, aromatic herbs, garlic, perfume and cosmetics, etc.. The second condition - the presence of the special storage containers. Considered acceptable tin cans of food tin from under the brand of tea with lids, especially with round caps, which are screwed, as well as special porcelain or ceramic caddy. It could be a box with a tightly fitting lids: cardboard, expelled from the inside foil, which are further placed in a three-layer bag made of cotton or linen. Remember, which is absolutely unacceptable to store tea in plastic or metal containers, he suffocated, in paper bags - pick up moisture, glass jars - spoiled by light exposure, Wooden boxes can inform tea smell of wood. 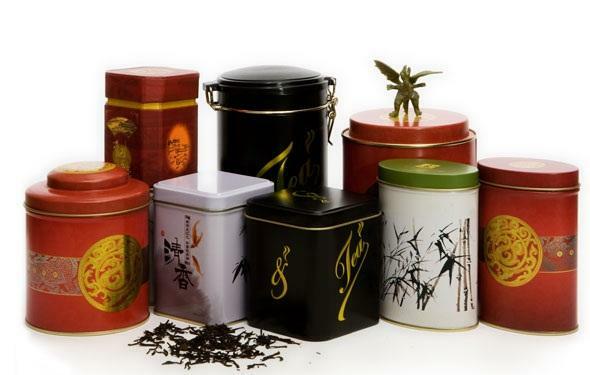 If the opened sealed factory packaging tea, the, no matter how carefully you now it is not stored, better not to exceed the term of more than 1,5-2 of the month, because some nutrients tea can still be oxidized, disappear its aroma, taste and transparency.